The importance of pre-orders is not a publishing secret. Dozens if not hundreds of articles cover how, when, and why authors should make upcoming releases available for pre-order. Why? The main reason tends to be placement on various lists—such as best-seller lists and coming soon lists—before or on release day. These lists allow new or undiscovered authors to increase their chances of being seen by voracious readers, and I definitely recommended listing your book for pre-orders before it comes out! For more information, check out these awesome articles that include in-depth details about tackling pre-orders as an author. But pre-orders aren’t only about writers; they can also help readers. Well, pay attention to your favorite authors on social media and beyond. Many authors and publishers offer special prizes, like early sneak peeks or signed swag, if you pre-order an upcoming release. Just last night, for instance, A.G. Howard – the author of Splintered (and one of my YA heroes) – offered advanced reader copies of her latest, RoseBlood, to readers, but if I hadn’t been following her, I wouldn’t have seen that. Pre-ordering also guarantees you’ll be one of the first people to read the latest and greatest novels, because—chances are—you’ll get your eBook delivered to your Kindle at midnight while others are waiting for the bookstore to open in the morning. Sometimes, authors might even pick out pre-order peeps for advance reader copies. So, stalk…I mean, check out authors and what they’re up to when you can. Here are some ways to follow your favorite authors: Click the “Follow” button on their Amazon or Goodreads profile, subscribe to their newsletters, add them to a list you create on Twitter, like them on Facebook (and subscribe to notifications), follow them on Instagram or SnapChat, and don’t hesitate to reach out. Pre-orders often help authors, publishers, and readers alike, but they can be a lot of fun, too! So, I turn 25 tomorrow. Yeah, birthdays! I’ll officially be a quarter of a century old…and I’ll be working, but if you want to help a girl celebrate, pre-order ANY book you’ve been dying to get! 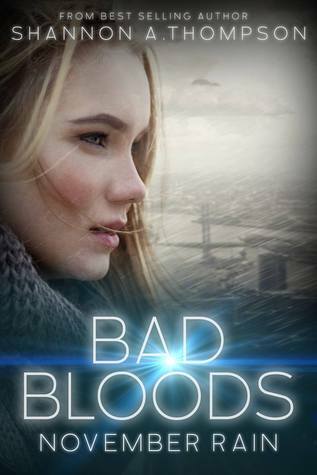 Also, shameless plug, Bad Bloods releases next month. Did you see the new teaser? It’s honestly my favorite one. What can I say? I’m a sucker for love. And despite Bad Bloods taking place in the month of November, there is some romance in my upcoming duology. This is a direct line from the book, but I hope you fall in love with Daniel and Serena like I did.